Asha is a pastel rainbow coloured ostrich. 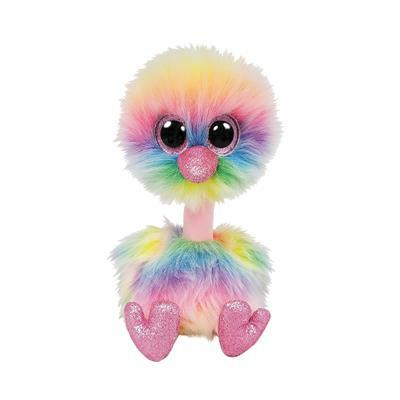 She has large, glittery pink button eyes and a sparkly pink beak. She has a long pale pink neck and sparkly pink legs and feet. Asha was released in 2019. There are two versions of Asha. This medium 9″ Beanie Boo Buddy and a small 6″ Beanie Boo.